Infuse your day or night with the soft scent of Lavender on your linens or clothing. 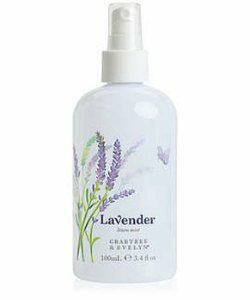 Our scented linen mist infuses freshly ironed clothing and bedding materials with the uplifting fragrance of Lavender. Can be added to water in steam iron for fresh-scented clothing. Freshens blankets, sheets, pillows, and towels. Combine with Lavender Room Spray for a beautifully scented living space.